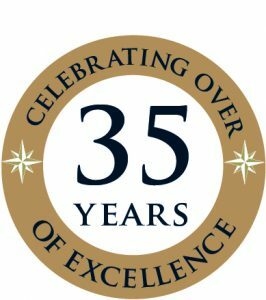 Bill Peach Journeys has been taking clients to the Northern Territory and the Kimberley region for over 34 years. This journey has been handcrafted to include some of our favourite destinations in this region. The areas are completely different and at the same time, huge distances are involved to get from place to place. Using private aircraft we transport you from place to place in a timely fashion whilst seeing incredible sights from the air. From the wetlands of the Mary River Floodplains on the edge of Kakadu National park to the rich red landscape of coastal Kimberley this will be a programme you will never forget. This is private luxury outback travel in the top end and Kimberley at its best. Upon arrival in Darwin, you will be transferred from Darwin Airport to Mantra on the Esplanade. The rest of the day is yours to spend at leisure. This morning explore Darwin before transferring to Bamurru Plains by small aircraft. Bamurru Plains is located just west of Kakadu National Park on the Mary River floodplains. A profusion of bird and wildlife are on the doorstep of a unique bush lodge that exudes ‘Wild Bush Luxury’ and brings a touch of style to the discovery of a remote and beautiful wilderness. The day breaks to the tune of thousands of Magpie Geese, the whistling of the kites and the thumping of Agile Wallabies hopping by your bungalow. Over an early morning coffee or steaming tea our guides help you plan your day. Airboats are one of the best ways to see the birdlife that teems here and skimming through a wilderness of clear water and tall grass at dawn or at dusk is a truly magical experience. Out boating on the Sampan River silver flashes of fish break the surface, all sorts of creatures move in the grass, the air is warm and still and all eyes scan the shallows for big saltwater crocodiles. On guided walks and drives search for brumbies, buffalo, dingos, and wallabies or pause to consider an intriguing reptile or the adaptations of a particular insect. Depart Bamurru this morning for your flight to Darwin. 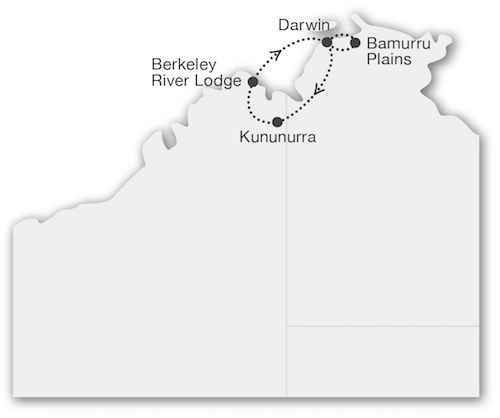 A connecting commercial flight will take you to Kununurra. Upon arrival transfer to the Kimberley Grand Hotel. This afternoon you will then embark on a boat ride up the Ord River, through the inspiring scenery of the Kimberley region. The cruise continues to the impressive Dam wall, which holds back the waters of Lake Argyle, capable of holding 44 times the volume of water of Sydney Harbour. You will learn about the local industries and the fascinating irrigation systems of this area. The Berkeley River Lodge is nestled on the gentle curve of Joseph Bonaparte Gulf on Australia’s remote north Kimberley coast. A stone’s throw away from some of the most spectacular untouched coastal wilderness on earth. From your dune top ocean view villa, you’re just a sandy-footed stroll away from pristine wildlife-rich bushland and secluded beaches, where the only frequent visitors are dolphins, dugongs, and turtles. Spend the day taking in this extraordinary environment, one of the truly last touched frontiers. On a river cruise, you can glide past towering rugged cliffs to the remotest freshwater swimming holes, stunning waterfalls, and majestic gorges, where the peace and tranquillity is broken only by birdsong. The lodge will provide the activities on offer for the day. Depart Berkeley River this morning for your flight to Darwin. Upon arrival, you will be met and transferred to the Mantra on the Esplanade. The remainder of the day is at leisure. This journey will utilise aircraft which are perfect for landing in the remote destinations throughout this journey. To ensure a variety of viewing for everyone, we change seat allocation each day. The aircraft is operated by an experienced pilot. The coaches that we use for this journey are fully air-conditioned.